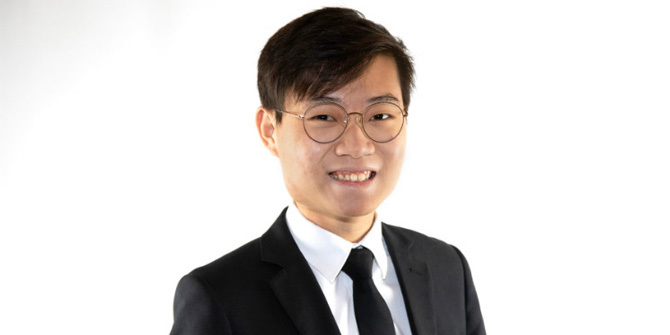 Yi Jun Mock, who has been selected for one of the world’s most prestigious graduate fellowships at Schwarzman College in Tsinghua University in Beijing, discusses the program and his future career plans. Congratulations on being selected for such a prestigious graduate fellowship! Can you tell us a bit more about the Schwarzman Scholars program? Thank you very much! I’m really looking forward to spending a year in Beijing. The Schwarzman Scholars program is a one-year, intensive Master’s Degree in Global Affairs at Tsinghua University, which aims to prepare the next generation of global leaders to respond to the geopolitical landscape of the 21st Century. Alongside a core curriculum to deepen students’ understanding of China, Schwarzman Scholars also pursue concentrations in Public Policy, Economics & Business, or International Studies. What motivated you to apply for the Schwarzman Scholars program? I decided to apply for the Schwarzman Scholars program because I’m keen to learn more about China’s increasingly significant role on the global stage. With Schwarzman Scholars’ focus on first-hand exposure to Chinese society, politics and business, as well as its emphasis on leadership skills and professional development – the program seemed like the perfect choice to allow me to better understand China’s role in an evolving world order. In what ways will the program enable you to build on your time here at LSE? At LSE, I spent much of my time outside the classroom trying to learn about contemporary public policy and international relations issues facing our world – from writing papers on topics like populism and digitalisation for Foreign Affairs, the Lee Kuan Yew School of Public Policy, and the United States Naval Academy, to exploring issues of sustainable development through my work with the United Nations Sustainable Development Solutions Network – Youth Initiative. I hope to learn more about these issues beyond a theoretical context through Schwarzman Scholars. In particular, the practical context of both the graduate coursework and the in-person experiences like the Deep Dive that the Master’s in Global Affairs offers will be helpful in seeing how governments and business respond to pressing issues facing the world today. What are your longer term career plans? As the recipient of a Public Service Commission (Foreign Service) Scholarship, I am excited to be returning to Singapore upon graduation to work with the Ministry of Foreign Affairs as a Foreign Service Officer, and pursue a career in the Singapore Civil Service. Yi Jun Mock is a third year BSc Politics and International Relations undergraduate at the London School of Economics and Political Science. He is a Schwarzman Scholar, Queen’s Young Leader, Global Shaper, and Youth Environment Envoy with Singapore’s National Environment Agency.